By Ross McGovern | December 7, 2013. James Delaney, from 54 Healy Terrace, Ballina, County Mayo, appeared in court on charges of breaking into the underground car park attached to Earl’s Court on Reuben Street. The Garda caught Mr Delany back in March 2012 after he allegedly broke into the car park and smashed the windows on four cars. He was also caught with allegedly stolen goods including a mobile phone worth €150, CDs in the value of €50 and a Sat Nav worth €100. When Gardai stopped him and asked him to provide a name he gave them a fake name. 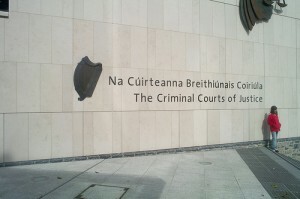 His defence attempted to describe his personal situation to Judge O’Donnell saying that he had recently finished a drug rehabilitation programme and that he was a newly married man.